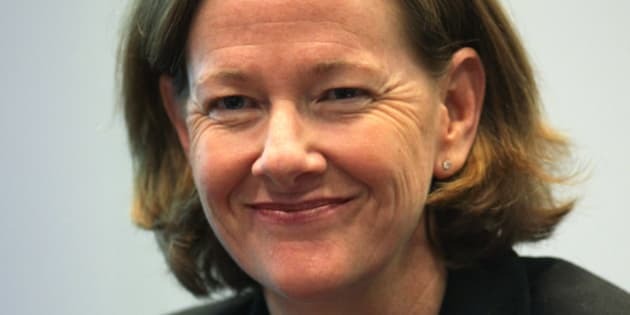 EDMONTON - Alberta's governing Progressive Conservatives have erased yet another reminder of disgraced former premier Alison Redford. The legislature voted Wednesday to kill a flagship investment bill passed by the Tories in the spring when Redford was still in charge. The Savings Management Act would have redirected more than $2 billion from the Heritage Savings Trust Fund to pay for endowments to spur innovation in social programs, the economy, and agriculture. "This bill keeps the commitment that we made to the people of Alberta to build a stronger, more innovative and prosperous Alberta," Redford told the legislature when she introduced the bill on March 3. Less than two weeks later, she quit the top job as she faced a caucus and party revolt over lavish spending on herself and members of her inner circle. The Tories under new Premier Jim Prentice brought in Bill 11 last week to cancel all but a small portion of Bill 1. Finance Minister Robin Campbell said Redford's bill is no longer a good idea given the Tories' commitment under Prentice to conservative financing and the fact Alberta now faces free-falling oil prices. Opposition politicians supported killing the bill, but said it was ironic that almost all the Tories who said in the spring that the bill was vitally important now say it has to go. "(It's) a question of trust that's being raised when a government within the space of 12 months can unanimously support a bill and then unanimously will now be seen to repeal the bill," Liberal member David Swann told the house on Tuesday. NDP member Brian Mason agreed it was a bizarre about-face by the Tories, but said it was the right decision. Mason said his party worried Redford's bill opened the door to worsening societal ills by having the government partner with the private sector in so-called social impact bonds. "We will be supporting (Bill 11) because this bill falls under the category of repealing stupid legislation," Mason told the house this week. Bill 1 joins a growing list of Redford initiatives reversed under Prentice, including family-care clinics and the closure of the Michener Centre, a Red Deer care home for developmentally disabled adults. Redford resigned her seat in Calgary-Elbow in the summer around the same time auditor general Merwan Saher reported she had abused the government air fleet to fly herself, her daughter, and her daughter's friends around for personal use on the public dime. Prentice has already announced he is selling the government's four-plane fleet.